Chandigarh is one of the rare cities in the world that offer a perfect amalgamation of urbanization and preservation of nature. Recognized as the best planned city of India, the infrastructure of this place is unparalleled. You are welcomed with a view of the Shivalik Hills overlooking the city, which is further accentuated by clear, blue sky. Smooth, wide roads, flanked by lush trees take you on a journey that proves why Chandigarh is called “The City Beautiful”. From amusing art galleries to natural beauty, and bustling nightlife to mouthwatering food, this city will entice you like no other. Whether you are on a trip with friends or traveling solo in search of a tranquil place, there are tons of things to do in Chandigarh that would satiate you. Although most of the retail hubs of the city close down early into the night, there is one place you can rely on for delicious food, all day (and night) long. We are talking tikkas, paranthas, pakoras, and everything Desi Chinese. Night Food Street is a food court, close to the Punjab University Campus that offers scrumptious food at super cheap prices! The place is usually hoarded by students, men and women working the night shifts. 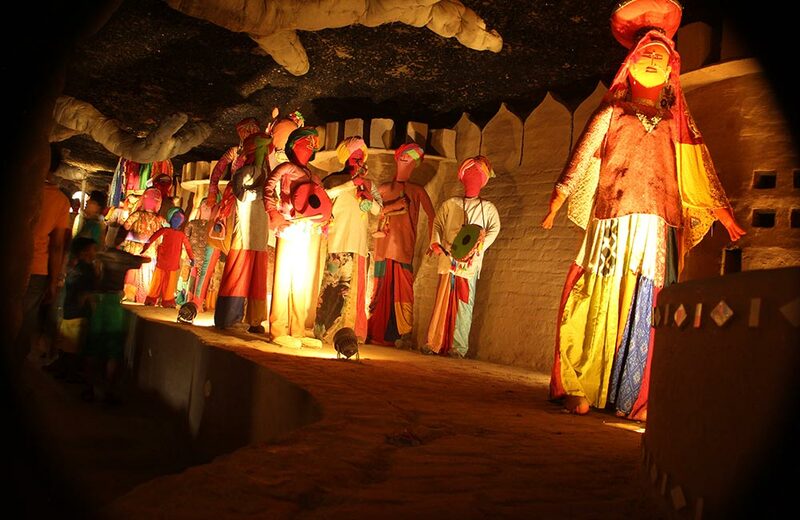 The Rock Garden of Chandigarh was founded by a government official, Nek Chand, who in his spare time started making artifacts using waste items. Although he kept his spare-time activity a secret, it caught people’s attention, and today the garden is spread across 40 acres of land. Showcasing a mosaic of colorful art pieces made using materials collected from demolished sites, it is divided into three main sections. Section one displays a huge array of ceramic pots, chambers, and niches decorated with broken bangles, tiles, mirrors, toilet fixtures and tube light parts. Statues of birds, animals, and humans made from waste materials are also installed in this area. Section two consists of a large man-made waterfall and gets the most attention from visitors. Complex pathways, courtyards, amphitheater and a miniature village are the main components of this section. The third and the last section is where you’d be able to see life-size statues of camels and elephants made from scratch, literally! If you are visiting Chandigarh and do not go for a walk down at Sukhna Lake; well, we consider it a crime. Although a very touristy thing to do, a stroll near the bank of the lake is enough to prove us right. This artificial lake is lined by the Shivalik Hills on the far end and sees a lot of fitness enthusiasts running or exercising on the track. The best part, you can even go boating on the lake! 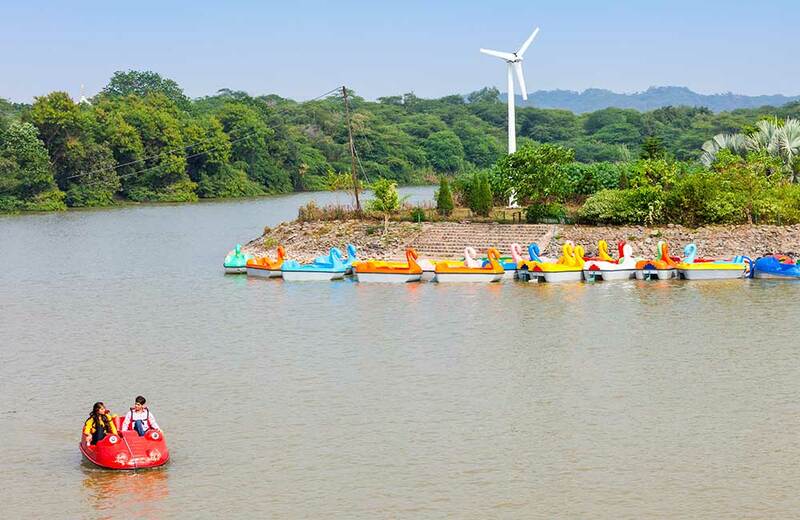 2 or 4-person paddle boats, and shikara boats are offered at very nominal prices, making it one of the best things to do in Chandigarh for couples. Other activities at Sukhna Lake include camel riding, getting a portrait made, visiting the suicide point, riding a mechanical bull among others. 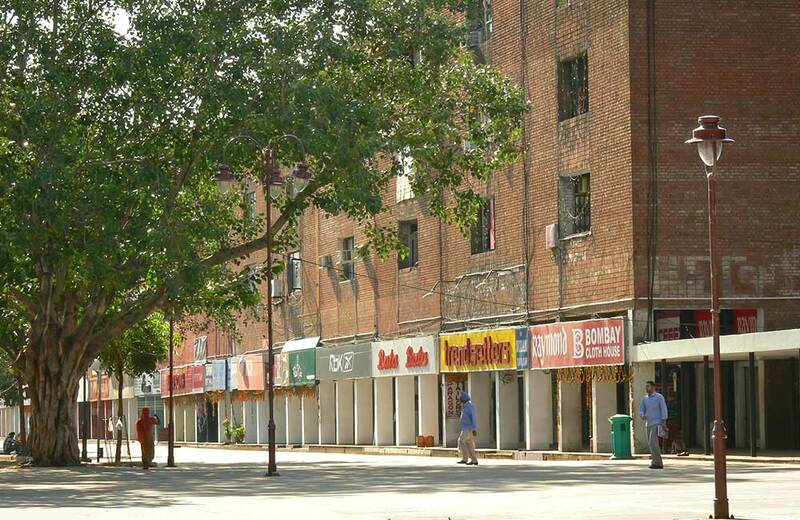 Sector 17 market is undoubtedly the most famous shopping hub of the city and has every right to be. This well-planned market is spread over a large area and houses outlets of some of the most luxurious brands in the world. But that’s not all! You can also find small shopkeepers selling traditional Punjabi handicraft items at affordable rates. Do not forget to bargain, though. 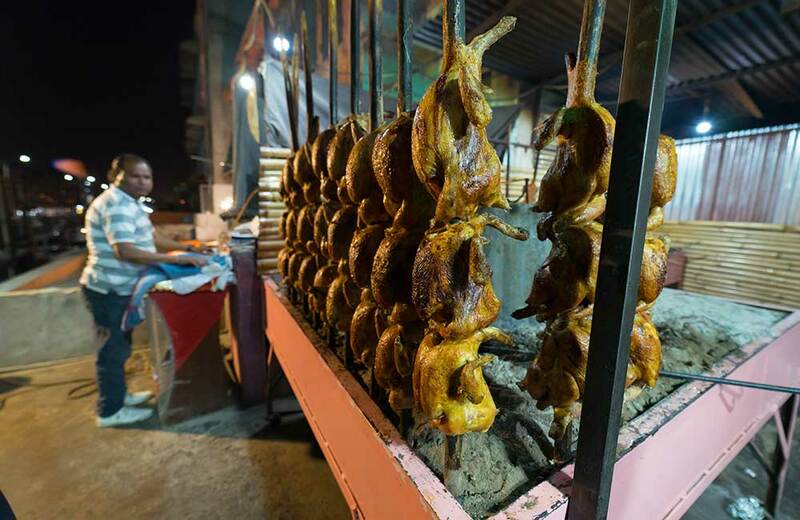 The market also has a wide range of restaurants and small eating joints offering the best of traditional North Indian cuisine. Also, do not miss the Musical Fountain Show that takes place in the market. The mesmerizing laser light and sound show happens every evening and is open for the public to watch. If you are coming from a metropolitan and are looking for a peaceful getaway, then Leisure Valley is the place to be. Spread over 8 km, Leisure Valley has many parks like Rose Garden, Bouganvilla Garden, Topiary Park and more. The Rose Garden at Leisure Valley is one of the largest rose gardens in Asia and has over 17000 plants. There are over 1600 varieties of roses including the rare black rose. 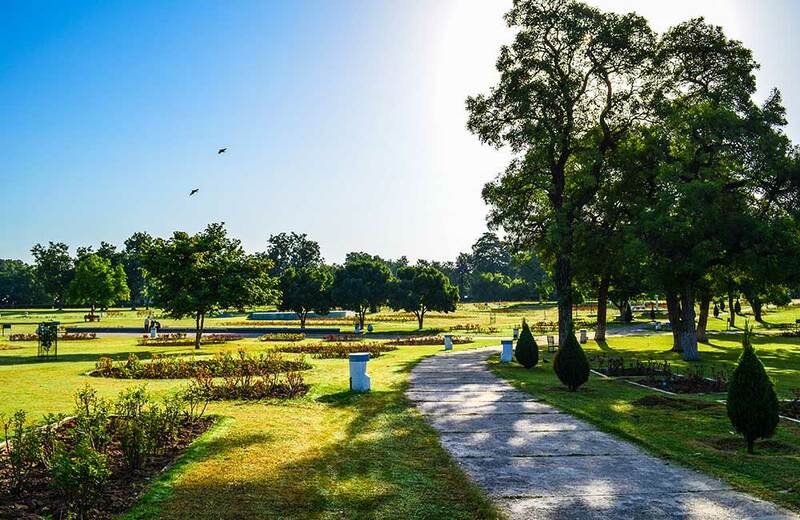 The garden is clean and well-maintained and tops our list of places to visit in Chandigarh with family. 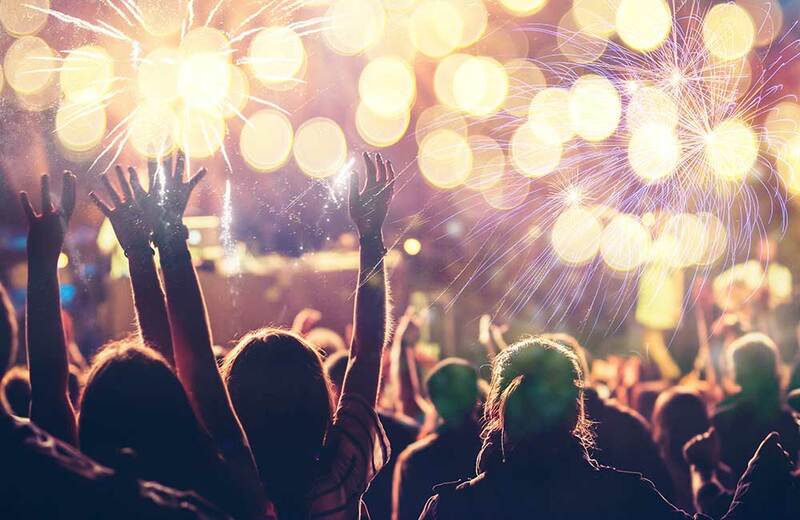 Apart from the structural marvels and enchanting gardens, Chandigarh also houses numerous pubs and nightclubs where you can dance to your heart’s content. As the sun sets and night takes over, a new life is brought to the city. With places banging foot-tapping beats and serving delicious food, Chandigarh is emerging as one of the most happening cities in the country. Arizona is one of the most famous nightclubs of Chandigarh. Over a decade old now, this place is known for its themed nights. Visit the place on a Friday, if you are a Hip-hop fan, or on a Saturday if Bollywood jams get you grooving. Hops and Grains is another great place to be at if you are a self-claimed beer connoisseur. This place has its own microbrewery and offers a wide range of velvety smooth beers. If we are to recommend, try their fresh dark beer first before you order anything else. The Back Room in Chandigarh is one the best nightclubs in the city if you love live music. They encourage new talent and you can find a new band playing here, every night. Other happening places in the city are FLYP@MTV, Lava, Whiskey 111 Sosha Café and Bar, and more. 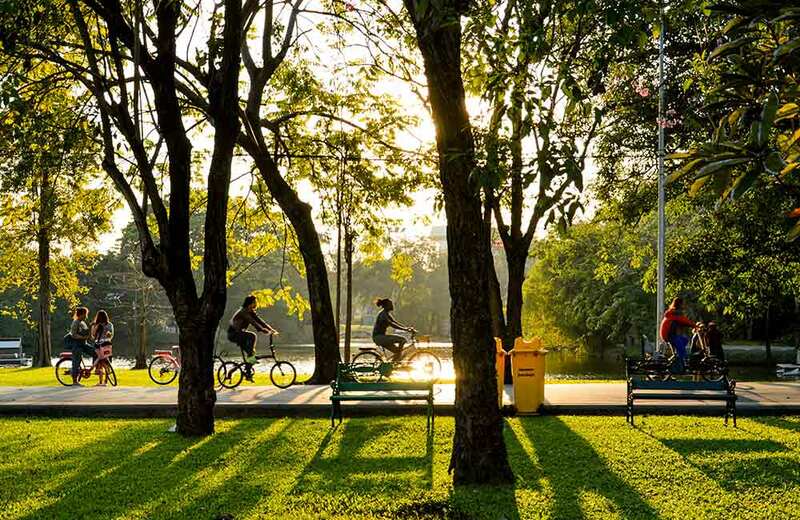 If you want to spend a carefree day after a wild night in the city, going on a bicycle tour is a great idea. The tour that starts early in the morning and lasts till early noon takes you to some of the most prominent tourist spots of the town – Rose Garden, Leisure Valley, and War Memorial to name a few. Strict traffic rules and well-constructed roads make this tour a breeze as you would not have to worry about running into reckless drivers. You would be riding by one of the most important landmarks of Chandigarh as well, the Open Hand Monument, which was built to signify peace and prosperity. There are a lot of other things to do and places to visit in Chandigarh, and fitting them all on a single page would be too much. Capitol Complex, City Museum, Kalagram, Eiffel Tower (yes, you read that right! ), Fateh Burj, city tour on a Ho-Ho bus, and Bullet ride on Geri Route (sector 8-9-10-11) are among other things one should not miss while on a trip to Chandigarh. Owing to the small expanse of the city, getting around is very convenient. All the places stated above would be easily accessible from your hotel in Chandigarh, hence more time is spent exploring the places rather than reaching them.